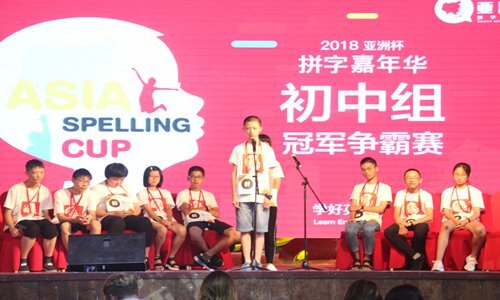 The sixth Qooco Asia Spelling Cup in China was themed "strive to grow up, pursue your dreams," and ended successfully in Beijing on July 22. Nearly 300 children from a pool of more than 50,000 gathered in Beijing to make their dreams come true. At the same time, the "Asian cup" mentor Alistair Bayley amazingly appeared, and the organizing committee presented him with the appointment letter of spokesperson and mentor. In addition to the spelling portion, the "Spoken English Show" was added to the Asia Spelling Cup competition. On July 21, the Asia Spelling Cup officially began the spelling competition, and 57 contestants successfully advanced to the final round. After fierce competition, professional tutors conducted training for the contestants and gave them more comprehensive guidance. 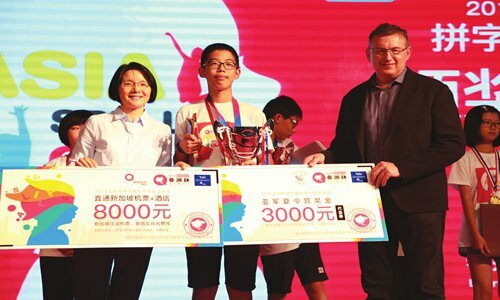 The final championship competition of Qooco Asia Spelling Cup officially started on the July 22 with 386,000 live viewers. After several rounds of competition, Xu Zijun, Zhangche and Hua Shenglin won the championship, the second place and third place of the preschool level respectively. Wang Yinuo, Zhang Chufan and Lou Youchen have respectively won the championship, the second place and the third place of the beginner level. Guan Zhinan, Wang Kaicheng, Huang Ruoxuan won the championship, the second place and the third place of the intermediate level respectively. Ma Yihang and Xie Zhenghan won the co-championship, and Ma Yilun took third place in the advanced level. Chen Jingru, Cao Shihao and Zhao Xinzhi won the championship, the second place and the third place of the junior school level respectively. All the top three contestants will participate in the final competition of the Asia Spelling Cup in Singapore sponsored by the Asia Spelling Cup Organizing Committee. Asia Spelling Cup has been successfully held five times. With the help of Qooco Kids Spoken English App, the organizing committee helps to realize self-growth of each child through technological means and tailors the "spelling course" for the Asia Spelling Cup contestants so that children can prepare for the competition easily over time. Through this competition, more Chinese students have entered the international arena. In previous Asian Cup competitions, Chinese contestants have won many awards in addition to contestants from Malaysia, Japan and other countries. 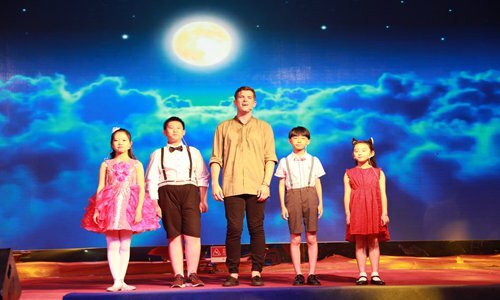 Jason Gao, Chairman of the Asia Spelling Cup academic committee, told the reporters that Qooco hoped to stimulate children's interest in English with the Asia Spelling Cup and spread Chinese culture during the process of showing themselves. David, Qooco Global CEO said he hoped Qooco could help more children. Let's look forward to the final competition of Asia Spelling Cup in Singapore on August 18, and the Chinese team will return home with honor.